Pearl millet is an excellent variety for the homesteader. The grain is easier to hull than other millet types. The grain is useful as animal feed and for human consumption. Millet cooks quickly and is very easy to digest. It is a gluten-free grain and fairly high in protein (up to 11%). It is also a good source of fiber. 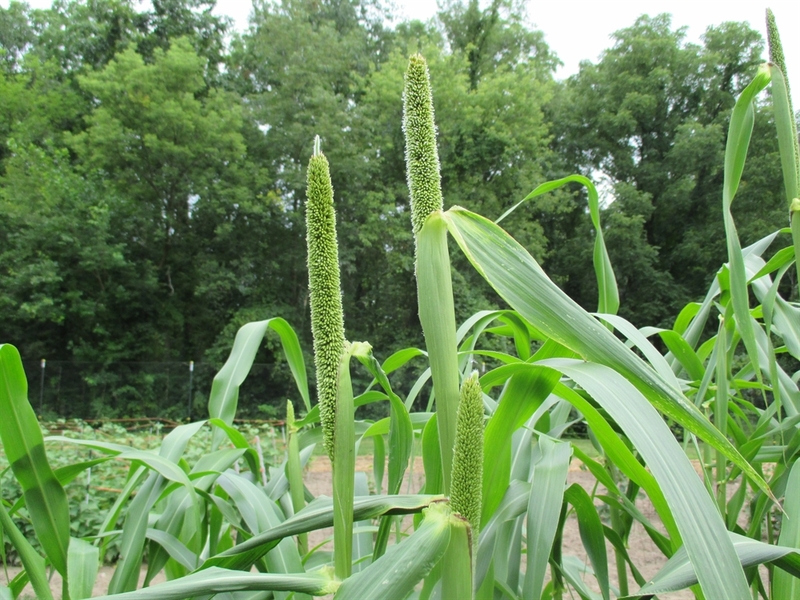 Pearl millet is a good crop to grow for animal grazing. 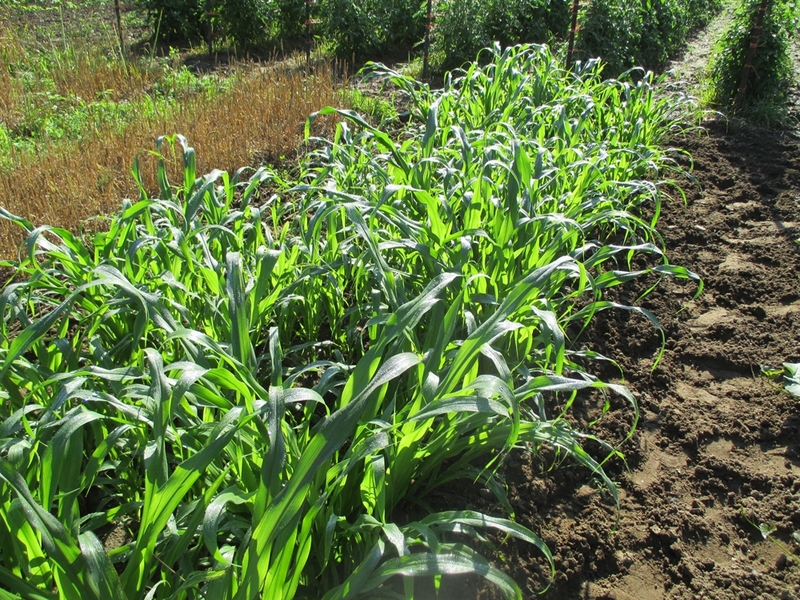 The fast growing plants can be made available for grazing before they become tall, but pearl millet will not regrow like Japanese barnyard millet. 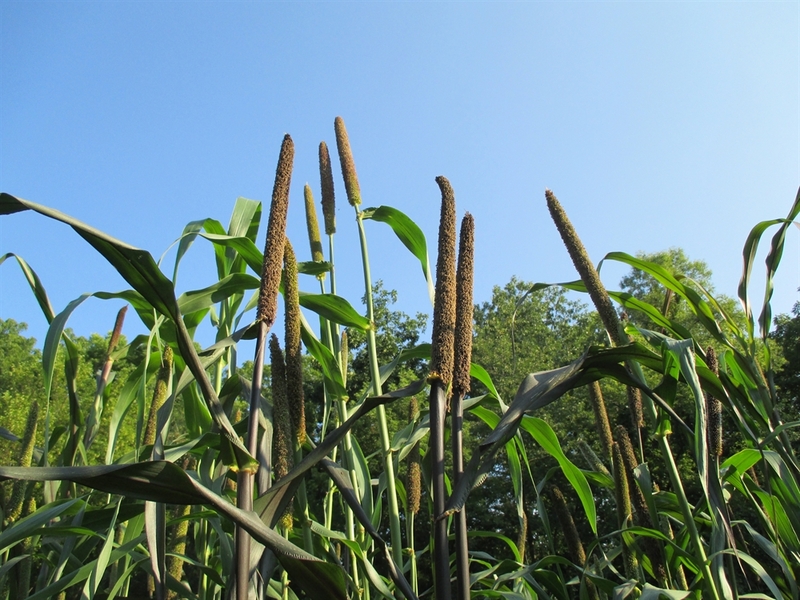 Millet is tolerant of poor soils and survives well in drought conditions. Plant in the spring after all danger of frost has passed. I plant around the last week of May in Northern Indiana. 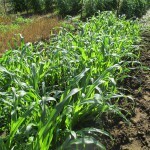 It can also be planted later in early summer for use as a late summer or fall forage crop. Plant 1/2″ deep and 6″ apart in rows or beds. 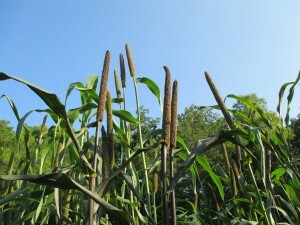 Pearl millet grows quite tall and can reach 9 or more feet. May need protection from birds in the fall when seed begins to ripen. Harvest when the seed hardens and begins to turn yellowish. 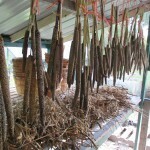 I cut and hang the seed heads in my drying shed for a couple of weeks before hand threshing. Millet needs to be de-hulled. I have included info at the bottom of this page on de-hulling options. 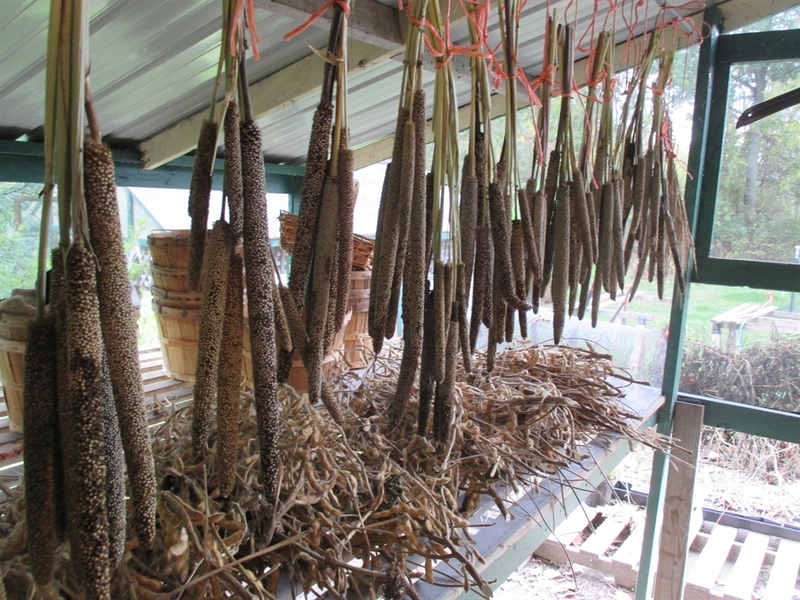 Seed Saving: There are a number of small grain species referred to as millet. These different types (Pearl, Japanese, Proso, finger millet) will not cross pollinate. We’re looking for an old timey pearl millet to plant for our cattle, but we need about 300 pounds for that. Do you know of any bulk resources? that specialize in this. You can probably find one online. 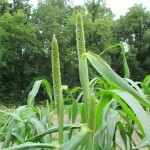 Google wildlife seed millet.